Creative Women’s Ministry Ideas can be a difficult task at times, especially if your church has a large congregation. In addition to offering spiritual guidance to your members, you will also be responsible for planning a wide range of activities to meet their social needs. You have to take the right actions to ensure that they will get the spiritual and social fulfillment they seek, and these actions can be physical or mental. The success of your Women’s Ministry will begin with the right mindset and below are some Creative Womens Ministry Ideas that you can adopt to make your ministry a great success. 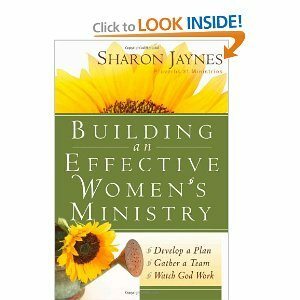 Are you out of creative womens ministry ideas? Women love Comedy night and they love coffee! Caffeinated Comedy with Leanne Morgan -Leanne Morgan exudes southern charm. She is a naturally funny storyteller who gives an honest look at suburban life and the challenges of keeping her husband happy while juggling kids, dogs and cheerleading camp at the same time she’s racing to get her hair highlighted, have a colonoscopy and join weight watchers for the 7th time! Leanne will take you on a hilarious journey through motherhood and beyond as she finds comedy amidst the chaos. One of the most challenging tasks that you will face as a leader of a women’s ministry is trying to meet all the needs of your members. Compared to men, women have more diverse preferences and lifestyles and it is not easy for you to plan activities that can make every woman in your ministry feel contented. 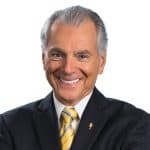 It is true that you cannot fulfill your members’ every need, but if one lady in your ministry finds that there is nothing in your program that appeals to her, she will feel that she does not belong and so may leave your ministry. 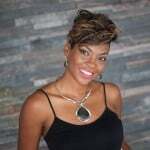 Event the best Creative Womens Ministry Ideas need careful planning. According to popular belief, women are emotional beings and do not have the ability to think profoundly. The truth is, ladies in Christ are interested in pursuing the truth of God, and they can understand many of the profound concepts and ideas that are found in the bible. If you want more women to join your ministry, it is important that you organize activities that are intellectually stimulating as well as entertaining, in order to cater for their educational and intellectual thirst. Females do not have to be mothers and wives to serve God. Even if you are not a mother or wife, you are no less important in the kingdom of God. While you should not ignore the importance of the roles of mothers and wives, you should recognize that women have other abilities and personality traits that can be useful to God. Many women may feel devalued when they are in church, simply because the church has traditionally been perceived to be a male-dominated entity. The responsibility of a women’s ministry is to make ladies feel comfortable about themselves and help all members realize that girls are as important as men in the eyes of God. Many women’s ministries do not allow their members to talk about certain aspects of their lives. This can result in shallow conversations that are pretentious and meaningless. If you really wish to change the lives of your members in a positive way and make your ministry a place of sanctuary for its members, you must encourage them to talk honestly about their experiences and problems; even this it means talking about spiritual doubt, temptations, and addictions. If you want the ladies in your ministry to take part in warm and edifying fellowship, you can make plans to host Caffeinated Comedy with Leanne Morgan. It is a fantastic event that gives women of Christ the chance to experience great Christian comedy. 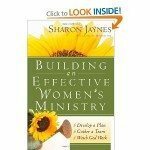 It is one of the best Creative Women’s Ministry Ideas.